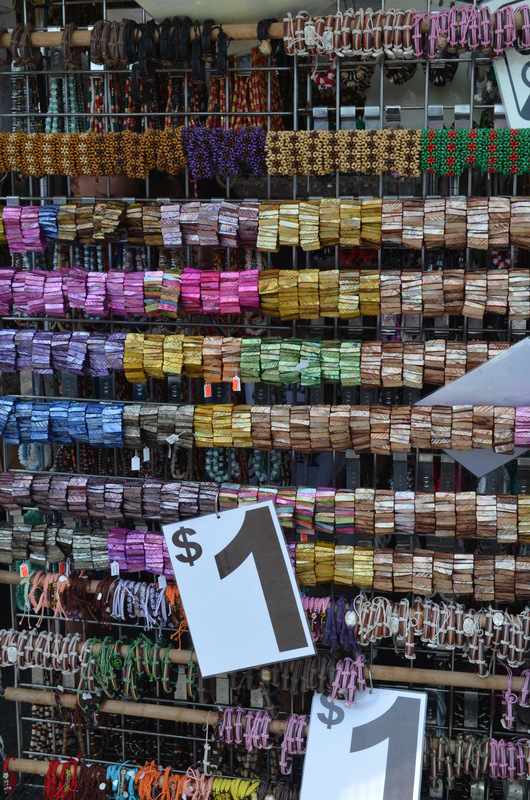 Got some time to kill, head out and do a bit of shopping. 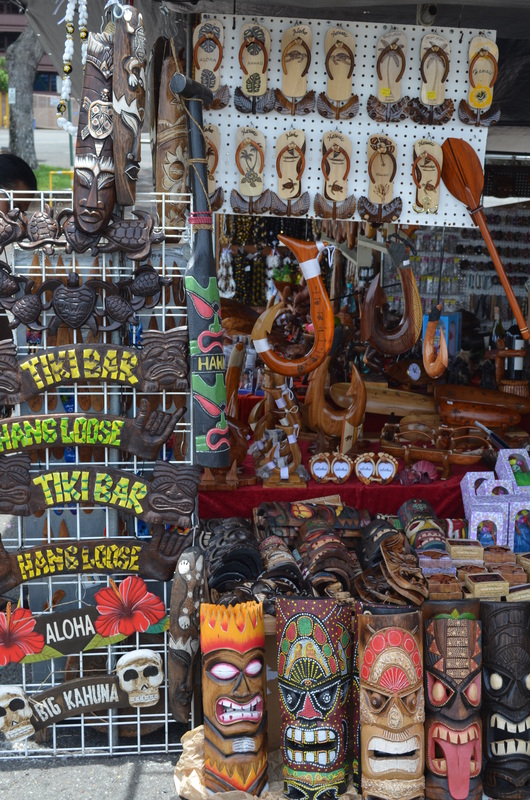 Especially if you are looking for any type of tourist or tiki item, this is the place to go! 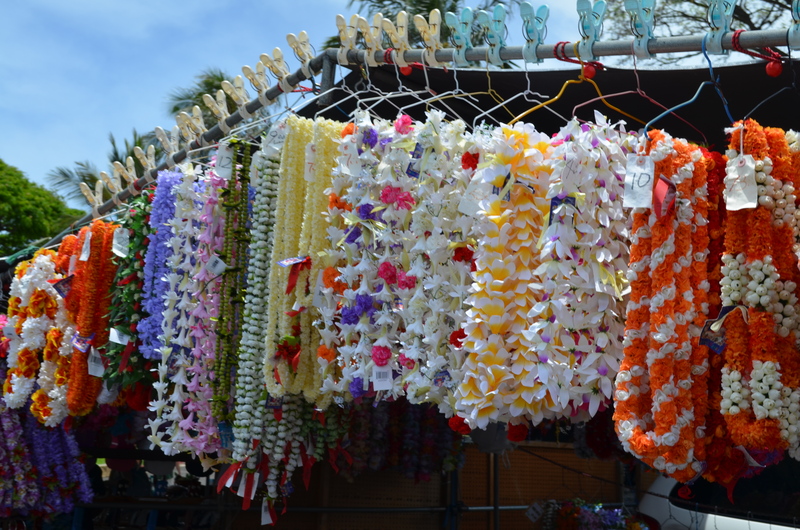 The Aloha Stadium has the swap meet three times a week and has dozens if not hundreds of different vendors… although MANY of them are selling the same exact mass produced in China crap. 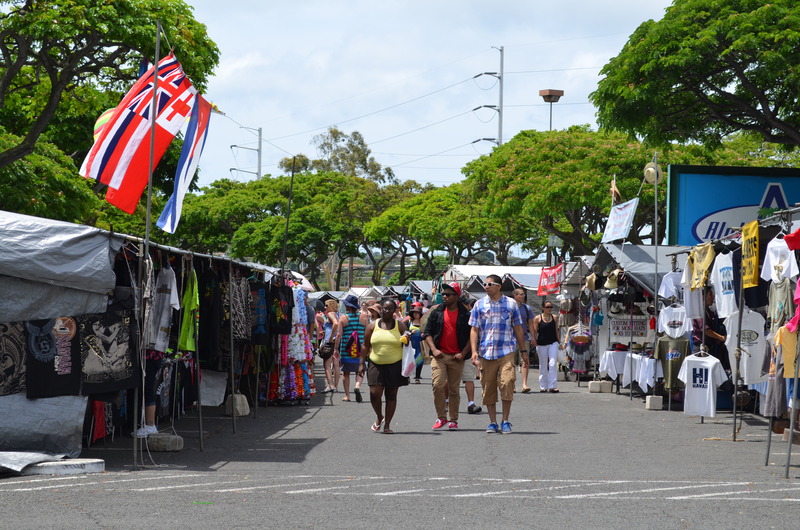 However, there are some standouts in the crowd… I got a super nice plumeria branch for a great price, we found a great local baker who makes awesome cakes and breads, a local oil & vinegar company where I picked up some yummy dipping oil, and a cute Hawaii sticker for my car! I am still a little mad that Omar won’t let me get a tiki head for the house, he says they creep him out, I on the other hand, think they are pretty fun! 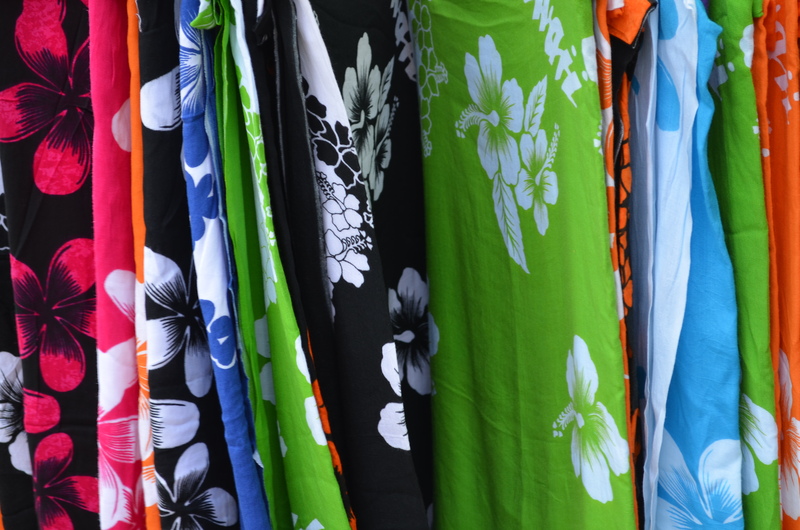 And if you need a sarong or a muumuu? This is for SURE the place to come!